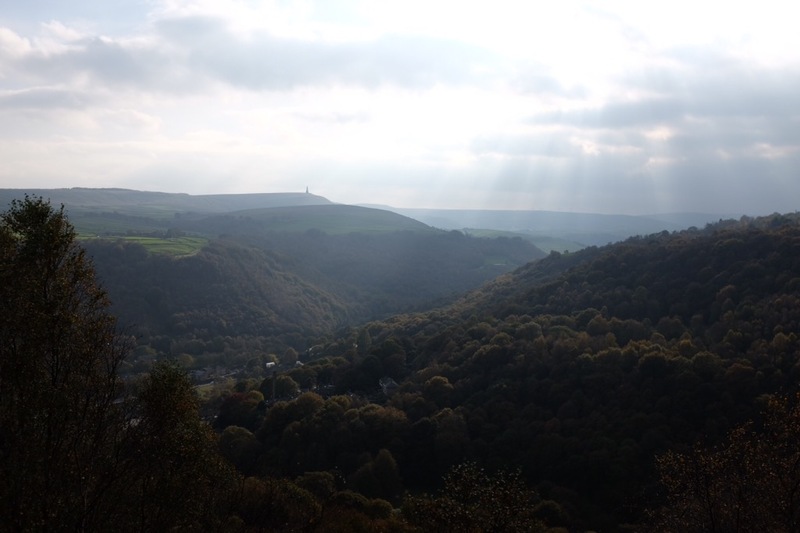 For my third visit to Hebden Bridge, last weekend, I arrived a little fresher than I had for the first, when the drive from my mother’s had taken longer than anticipated, and the second, when I had taken planes, trains, trams and cars to arrive in time to teach. It was lovely to be hosted by Rebecca and Dave again, and to see familiar faces at the different events. We started on Friday evening with a class on the Fukanzazengi, where we had a larger than expected attendance, and a fairly lively and deep discussion. On Saturday we sat for the bulk of the day, with a little outdoor kinhin after lunch, and of course tea and biscuits to round off the schedule. A few of us climbed the hill a little later to end the day in fine style, with a pie and a pint at the Hare and Hounds. On Sunday, after I had gone out early to run around the route, which I partly knew from previous visits, but felt better for refreshing my body memory of, we had the very first English Roaming Zen, which went very well. The weather was mild, even warm in the sun, though previous rain had left some of the surfaces slippery with leaves. 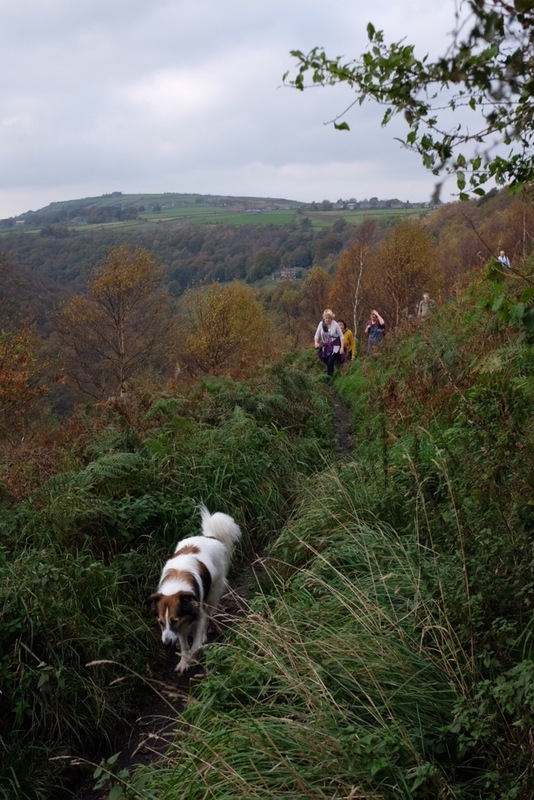 Eleven people and a dog crossed town, took in the canal and Colden Water, the steady climb to the crags, and a return through Heptonstall. 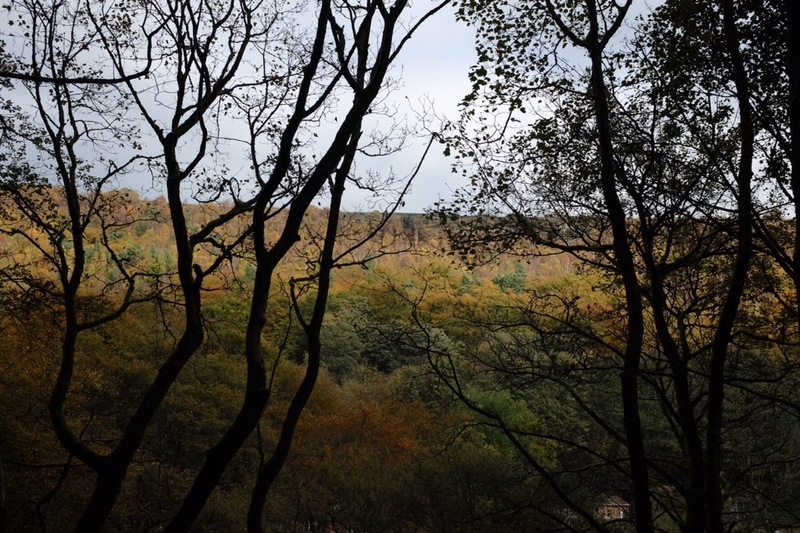 For once, I did take my camera along, as I knew there were some views I wanted to capture, though I tried to stay mindful, and I loved getting to absorb such fine autumn colours. I was definitely glad for a cup of tea afterwards though. Each time I visit the sangha there, I am impressed with the level of energy and enthusiasm among the practitioners, many of whom had also sat with Brad a couple of weeks previously, and the care and organisation that has made each of my visits such a pleasure. On the way up the valley, we could see across to the crags we took in on the return. 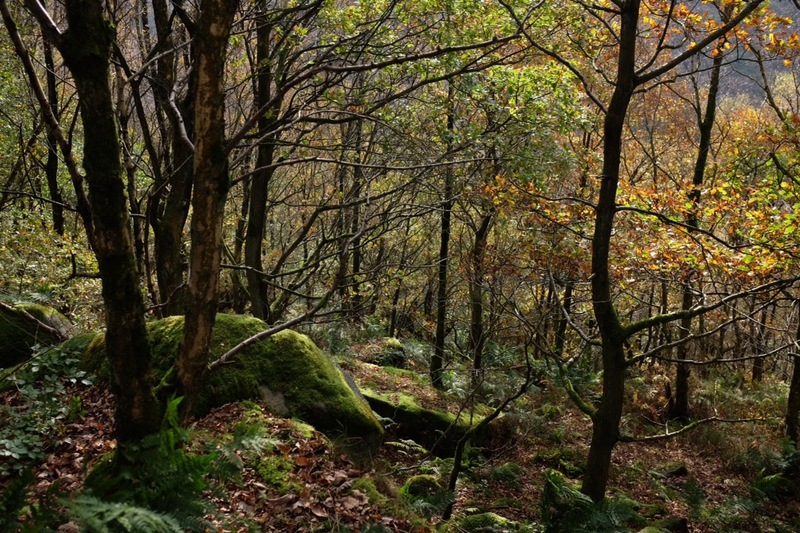 The sun shone at times, illuminating the woods. Molly, in common with other dogs who have roamed, did not flag at all. We sat for a while on the crags, taking in the amazing views. 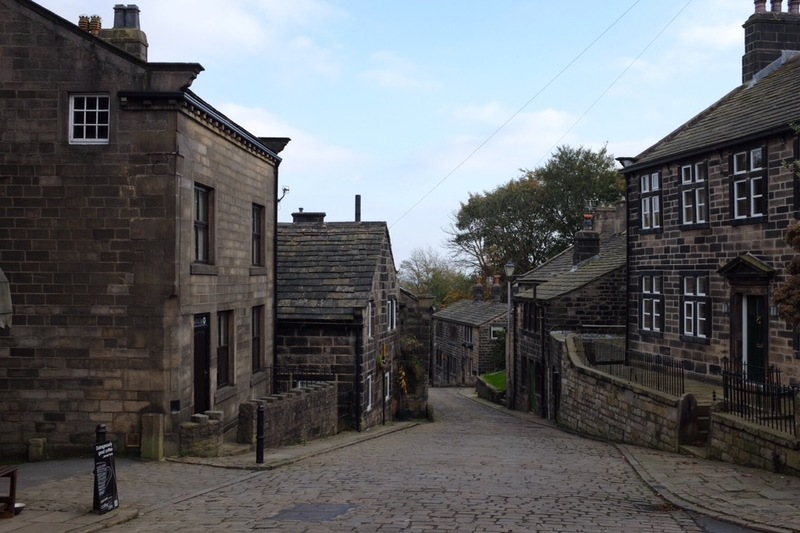 Heptonstall is a very pretty village.